Rapid advancement in Mobile Communication Technology has shaken-up the way, the users access Mobile Network for data streaming and voice communication. Although, history of Mobile Communication dates back to prehistoric time, Galileo’s work & Armstrong’s finding was a watershed in this regard. Other turning point that evolved and revolutionized this domain was the involvement of leading states of the globe in World War-2 for managing their war affairs through access of effective Mobile Communication systems. Besides this, fast progress in advanced signal processing techniques and miniaturization of digital circuits is also a major contributing factor for the evolution of new mobile network technology which is tantamount to saying that birth of Advanced Mobile Communication System took place in 1980s. The evolution of wireless technology has been going through its 4th generation. Discussing it all, the 1G analog systems were designed at an aim to provide basic voice data services, while the 2G introduced the digital processing techniques which yield in achievement of high capacity and large coverage capability. 3G systems came into research for providing fast data services and open the gates for introducing “Mobile Broadband” concept. Following the same line, 4G systems came in research to provide advanced wireless services and to integrate all Mobile Technologies that exists till now. We aim at explaining the evolution of these 4th Generations of Mobile Networks and intend to make comparison among them on basis of their functionalities and their offered services. History of Mobile Communication System dates back to prehistoric time when ancient people used to exchange information through Smoke Signals and Beacon Towers. Similarly, Career pigeons had been used in old times as an information sharing tool. In real sense, The Radio Link was used as a career for the first time when Marconi in 1987, presented that Radio Environment has an ability to carry information from one point to another without any need of wired cables. When discussing premises of Communication no one could forget to mention the name of father of Modern Communication System “Armstrong,” who discovered FM modulation techniques and opened the gate of advanced Communication Systems. Since then, Mobile Communication Technologies came into research and have been adopted throughout the globe. The rapid advancement in Semiconductor Technologies which yielded in miniaturizing the electronic circuits and boom of the new Digital Signal Processing Techniques further amplified the inevitable fast growth of the Mobile Technologies. Modern Digital Switching techniques acted as a fuel to haul up the growth of Mobile Technologies. With all these reasons, it is worth mentioning to discuss the engagement of USA, Europe, and Japan in World War-2 which tempted them to have an urge to get an access of agile and ubiquitous Mobile Communication Networks for dealing with their war affairs and communication with their platoons for commanding them and guiding them in the most agile and safest way. That’s why the domain of Mobile Technologies have been merely captured and captivated by these three leading states of the World. The Mobile Communication Technologies have been going through its fourth generation. 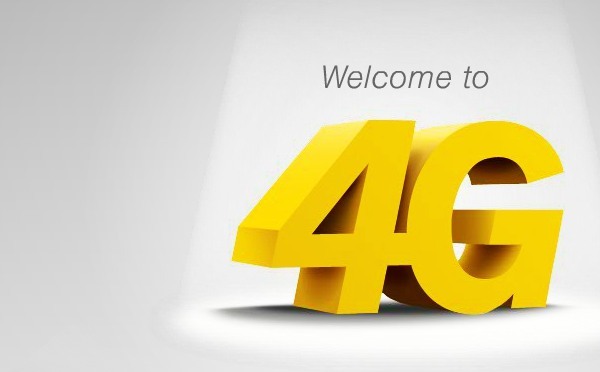 Here, we would briefly discuss how these technologies have been introduced and evolved from 1G to 4G networks. 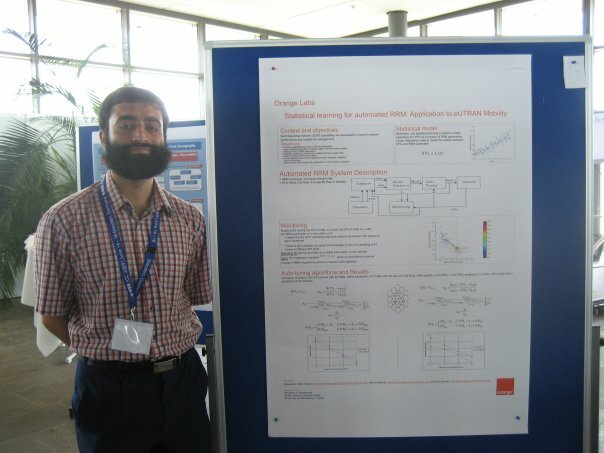 Development in Digital Signal Processing Techniques. Mobile Communication Technologies have been going through tremendous amount progress rate due to miniaturization of hardware and rapid development in Signal Processing Techniques. This boom in growth of these technologies started in 1970’s when Cellular Concept was for the first time proposed to FCC by Bell laboratory. In 1934, USA adopted Amplitude Modulation Mobile Communication Systems for Public Safety. As Amplitude Modulation is prone to noise and is more vulnerable to surrounding interference like car ignition and other problems, so the system didn’t get much attention at that time. In 1935 Armstrong discovered Frequency Modulation. As FM modulation is naturally immune to noise, so the idea of using FM modulation for modulating signal was highly attracted by RF Engineers and Researchers. World War-2 boosted up the advancement of Mobile Communication Systems because of the involvement of three major powerful states of the world in war. All of these states wanted to come up with more advanced Mobile Communication Techniques. USA, Japan, and Europe since then worked a lot in this domain. The First Public Mobile Telephone Service was implemented in 1946 by USA .The system was based on Half Duplex mode and was known as Push-to-Talk Telephone systems. The access technique was FDMA with each channel bandwidth of 120 KHz. For improving capacity, the bandwidth was first reduced from 120 KHz to 60 KHz and later to 30 KHz. In 1950s-1960s, Improved Mobile Telephone Systems Introduced Automatic Channel Trunking concept. The idea was to make pool of channels which couldn’t be dedicated to any user for all the time. Instead, pool of channels could be under control of System’s network that could be given to any active user if needed. During these times, Traffic Engineering Concepts were in research to handle as many users with least blocking and delay probabilities. During 1970s, with development of Semiconductor technologies and the invention of Transistors circuit made it possible to integrate several electronic circuits on a single chip of Silicon, The consequence of this was manifested in materialization of VLSI integrated Circuits. This miniaturization of hardware components resulted the in decrease of cost of deploying Mobile Communication infrastructure and hence the growth of Mobile Systems increased further. In 1979, Japan’s Company Nippon Telephone and Telegraph Company introduced first mobile phone systems. The System used 600 FM duplex channels (Channel Simplex B.W 25 kHz) in RF range 800MHz band. In 1981, Nordic states introduced NMT-450 Cellular System in 450 MHz range and used 25 KHz Channel’s bandwidth .The system offered low capacity because of high transmitter range due to its low frequency RF position i-e 450MHz. Hence, bigger cell sizes resulted in lower capacity. In 1983, FCC allocated 40MHz of spectrum in 800MHz range to US for Cellular Communication .AMPS used 666 duplex channels with one way bandwidth of 30KHz. The duplex distance between forward link and reverse link was kept 45MHz. In 1989, FCC further allotted 10MHz of more bandwidth to AMPs. As a result, total number of careers in AMPS reached to 832. In 1985, 1G TACS was introduced by Europe which is in fact a European version of AMPS. Since after birth of 1G cellular system, various different standards were adopted and implemented in the rest of the world. Japan introduced JTACS, and ETACS, and NTT-900 systems were adopted by Europe in 80’s decade. 1G systems lasted till end of 80s. USDC or DAMPS is US version of 2G system which was evolved from AMPS. Its uses digital Time Division Multiplexing techniques and divides the 30 KHz Channel Bandwidth of Channel into three time slots and hence give three fold capacity enhancement in AMPS. Initially it was known as IS-54 and later with modification it became IS-136. IS-95 is another version of 2G introduced by USA in late 1980s. Developed by QUALCOMM, and was based on CDMA technology .It was used for several years for Military purposes because of its inherent characteristics of Anti-jamming and less vulnerability to noise. In 1991, Europe introduced 2G GSM. It is based on TDMA technology and with time it came to use frequency bands in range 900 MHz, 1800 MHz, and 1900 MHz. Channel bandwidth of GSM is 200KHz and it has eight time slots per channel. Various versions of 2.5G systems were evolved in late 1990s. Two evolution paths for 2.G were introduced, one followed GSM line with three variants i-e HSCSD, GPRS, and EDGE, and the other path evolved from IS-95 and is called IS-95B. Two basic 3G families are lines are CDMA-2000 and WCDMA. CDMA-2000 evolved from IS-95B while WCDMA which is popularly known as UMTS got evolved from GPRS and is a European version of 3G. This paper studies the relationship between technical innovations and standardization, eliciting implications for an optimal role for standardization in the innovation processes, taking mobile communications as an example.